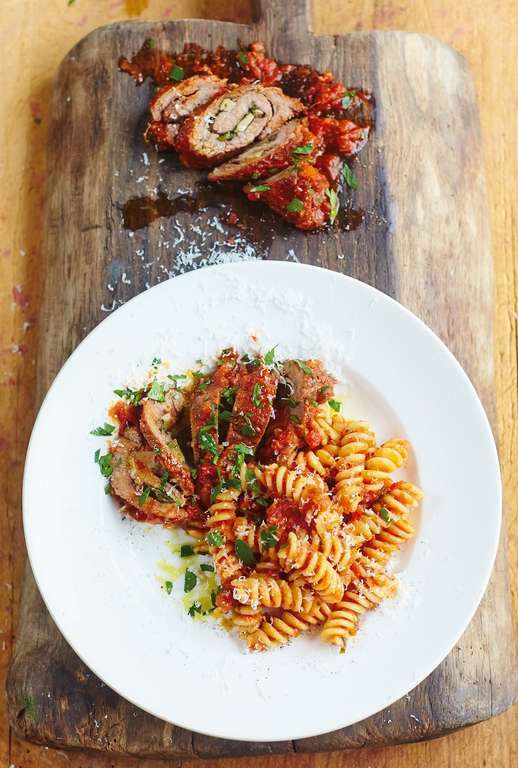 Gennaro Contaldo's recipe for involtini of beef with ragù and pasta is perfect if you're looking for a change from spaghetti bolognese. 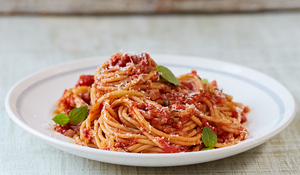 It's a warming and satisfying family meal. 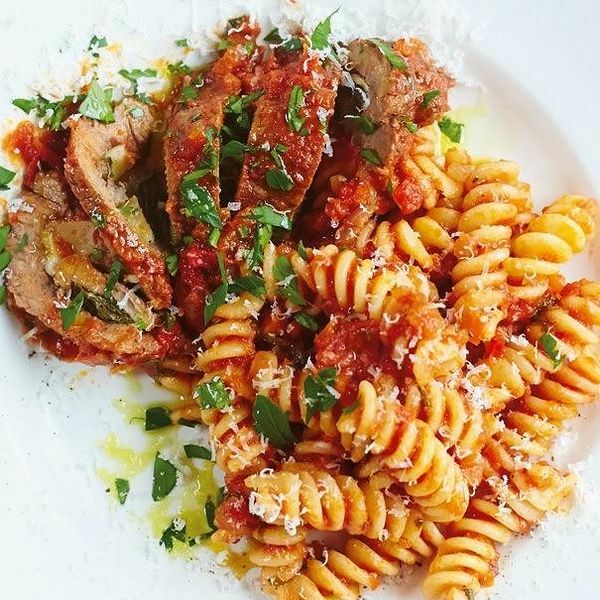 Involtini of Beef in Tomato Ragù with Fusilli from Jamie's Food Tube: The Pasta Book by Gennaro Contaldo. 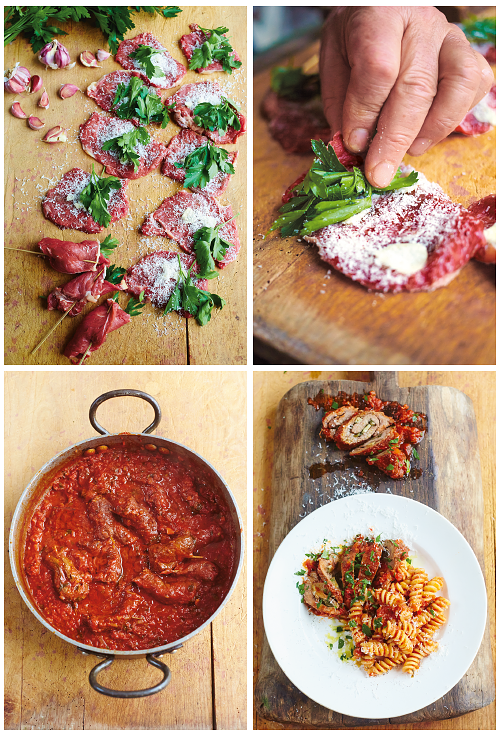 To make the involtini, slice the steaks to give you 12 equal pieces, then place on a board and bash each one with a rolling pin, until about ½cm thick. 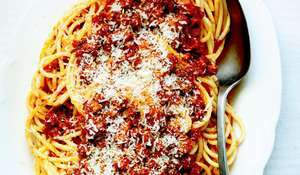 Season with salt and pepper, grate over the Parmesan, then slice the garlic and sprinkle on top. Layer over the parsley leaves, then tightly roll up each slice of meat, securing with toothpicks or cocktail sticks, and season all over. Heat 5 tablespoons of oil in a large, wide casserole pan over a medium-high heat. Add the involtini and sear all over. 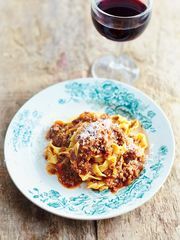 Turn the heat up to high, pour in the wine and let it bubble away until reduced by half. 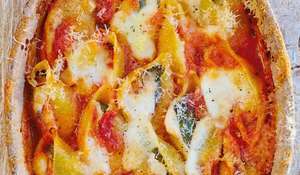 Using a slotted spoon, transfer the involtini to a plate and set aside. Very finely chop the onion, celery and carrot, then add to the pan and return it to a medium-high heat with another 3 tablespoons of oil. 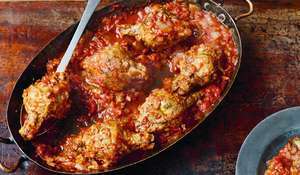 Cook for 5 minutes, or until starting to soften, then add the chopped tomatoes and 1 tin of hot water. Refill the tin again and stir in the tomato purée, then pour it into the pan. Cover and bring to the boil. 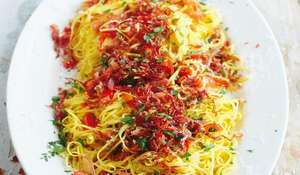 Finely chop and add the basil (including the tender stalks), then season to taste. Cook for a further few minutes, then return the involtini to the pan and bring back to the boil. 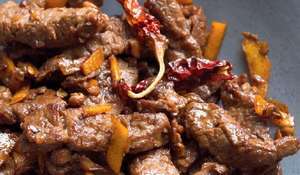 Reduce the heat to low, cover with the lid askew and cook for about 45 minutes, or until the meat is tender, stirring occasionally. some of the cooking water, drain the fusilli and add to the sauce. Mix well over the heat until lovely and glossy, adding a splash of the cooking water to loosen, if needed. 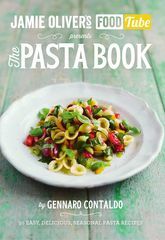 Serve the pasta as a starter, followed by the involtini with a nice fresh salad. 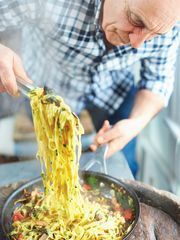 Jamie Oliver's Food Tube presents The Pasta Book from Italian chef Gennaro Contaldo, the godfather of pasta, mentor to Jamie Oliver and one half of the Greedy Italians. 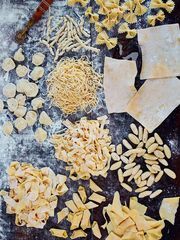 The Pasta Book is bursting with exciting, seasonal and super-simple recipes.